A New Kind of Youth Ministry: Chris Folmsbee is an author, speaker, volunteer youth worker, youth ministry consultant and the director of Barefoot Ministries. Chad Swanzy: Chad is the student ministries director at Gateway Community Church in Austin, Texas. He also runs YouthLeaderStash.com. Deep Thoughts by Gman: Gman (Gerrard R. Fess) works with a church in Maryland. Facing the Facade: Caleb Henry is the director of student ministries at Faith Community UMC in West Chester, OH. Let Wonder Replace Worry: Justin Ross is a youth minister who shares his fascination with youth ministry, pop culture, current events and more. Love God, Love Students: This is a youth ministry blog penned by Matt McGill, who served as a high school pastor for Mariners Church in Irvine, CA. Mark Ashby: Mark is a youth minister who “rambles” on God and youth ministry. More Than Dodge Ball: Joshua Griffin is the High School Pastor at Saddleback Church in Lake Forest, CA, and has been in full-time youth ministry for almost 15 years. More Than This World: Chris Harkins started in youth ministry at a small church in Rancho Sahuarita and has served in youth ministry for almost eight years. Ph’lipside of the Pond: Originally from the UK, Phil Chenery worked on the High School Ministry Team at Saddleback Church as the Event Coordinator. Terrace Crawford: Terrace has been in youth ministry for over 13 years and currently serves as a full time Minister to Students at Crossroads Community Church, Yorktown, VA. The Middle Ground: Andrew Rothacker is the Middle School Pastor at Lancaster Evangelical Free Church in Lititz, PA. Youth Ministry Stuff: Tim is a youth minister and worship leader in Northern Kentucky, and he uses his blog to connect with other youth workers. Effective Youth Ministry: Nathaniel Dame feels that it takes more than a great book or finding the right curriculum to become a better youth pastor. Emerging Youth’s Weblog: Dan, a youth pastor in New York, witnessed the growing trend of teenagers becoming completely dissatisfied and disillusioned with traditional church and is attempting to re-invest youth ministry. Evolutionist: Pastor Neil, a youth minister, offers thoughts and theology in this personal blog. Jeanne’s Youth Leader’s Coach Blog: Jeanne Mayo is president of Youth Leader’s Coach and director of Oxygen Youth and Youth Adult Outreach. Life in Student Ministry: A youth worker based in Alexandria, Minnesota, serves teens, youth workers and churches around the country through free resources online. Life in the Middle: Adam Reed currently serves as the middle school pastor at Prince Avenue Baptist Church. He has been in student ministry for a little over 11 years. Pastor 2 Youth: Ryan Nelson currently is obtaining his doctorate in youth and family ministries from Fuller Seminary. He offers games, papers, an exchange and a forum. Practical Youth Ministry: Brandon Baker is the youth minister at the Western Hills Church of Christ in Temple, Tx. He offers fun and engaging ideas for student discipleship. Rethinking Youth Ministry: Pastors Brian Kirk and Jacob Thorne seek to rethink the most basic assumptions of youth ministry from a mainline/progressive perspective by offering both theory and practical ideas. Steve Cullum: Steve currently works at Rockingham Christian Church (also in Salem) as a student minister (Youth Pastor) for 6-12th grade students. Youth Ministry and Me: Chris Bowditch is the youth minister at Holy Trinity Anglican Church in Australia. He taps into culture, theology, youth ministry and offers resources. Youth Ministry Ideas: Steve Blanchard, a graduate of Colorado Christian University with a degree in youth ministry, relays fresh ideas to help youth leaders. Brainshare: A collection of musings from a software support technician and Christian youth worker. Created Creative: Suzy is a youth worker based in Buckinghamshire and a student on the CYM youth and theology course. Center for Student Missions: This organization provides an urban ministry experience with the goal to transform lives, influence churches and communities, and honor Christ. Love Thy Volunteers: Ryanne is the volunteer coordinator for a high school ministry. Although not an expert, she shares plenty of experienced insights. The Grove Is On Fire: Mark Walley, a youth worker for a church based community project in central London, provides a blog about youth work. Youth Ministry from a Volunteer Perspective: Dennis Beckner is the director of The Landing at Saddleback Church and has been serving in the youth ministry there since 1999. Catholic Youth Ministry Blog: This international Catholic ministry believes that Eucharist-based ministry has the power to transform teens, transform parishes, and transform culture. Catholic YM Blog: The Catholic YM Blog has been referred to as “the 411 of Catholic Youth Ministry.” D. Scott Miller, director of the Division of Youth and Young Adult Ministry for the Archdiocese of Baltimore, maintains the content. Marathon Youth Ministry: This youth ministry director hopes to help students connect with Jesus Christ and a better understanding of the Catholic faith. Youth Blog: Ian Macdonald has been the youth adviser for the Diocese of Oxford since June 2003. Doug Franklin: Franklin serves youth workers through a ministry called LeaderTreks. Free Ideas For Making Disciples: This youth minister, who has about two decades’ worth of youth ministry experience, offers services for speaking and/or training. Immerse: This journal’s primary purpose is to support adults in student ministry by providing insight into youth culture. Youth Encounter: A Christian non-profit organization that offers relational youth ministry resources to Christian communities. 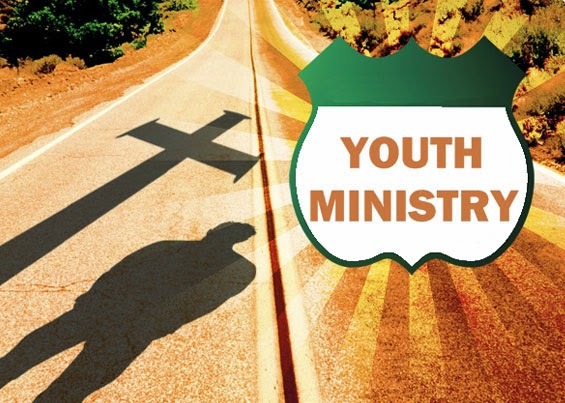 Youth Ministry: This resource is part of Simply Youth Ministry, a commercial resource that offers tools for youth ministry. Youth Ministry 360: YM360 is “Youth ministry, full circle,” or a way to meet the needs of youth workers. Youth Specialties Blog: A youth minister shares experiences on this blog, part of the Youth Specialties commercial Web site.